is a glasswork technique which produces distinctive decorative patterns on glassware. 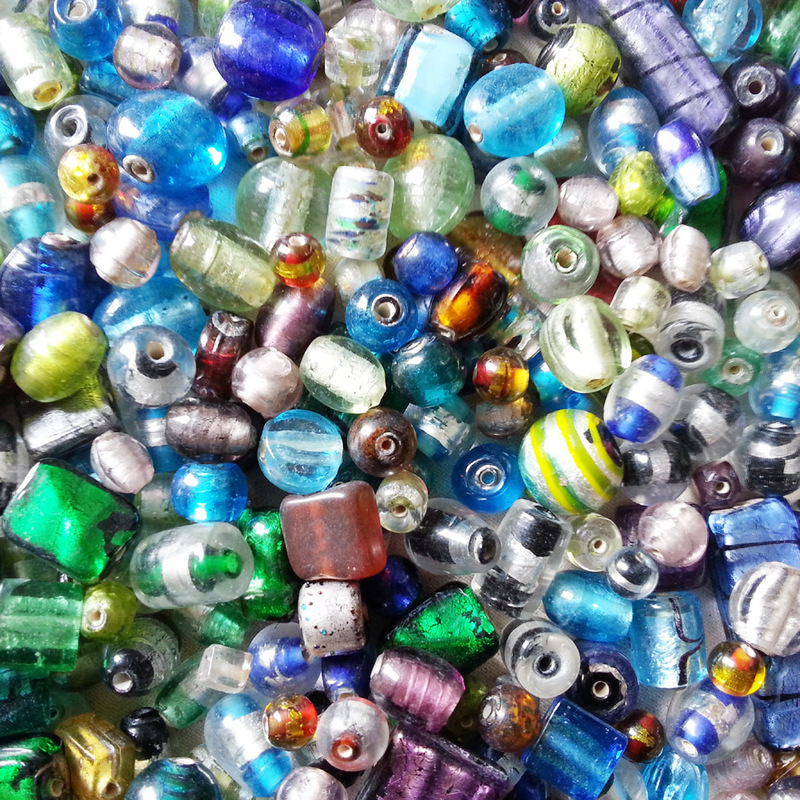 The manufacture of mosaic beads can be traced back to Ancient Rome, Phoenician and Alexandrine times. Canes, probably made in Italy, have been found as far away as 8th century archaeological sites in Ireland, and millefiori was used in thin slices to brilliant effect in the early 7th century Anglo-Saxon jewellery . Although what we now recognise as the Millefiori technique was developed in Murano, Italy in the 15th century, the heyday of Millefiori bead manufacture ranged from the late 1800s to the early 1900s. The millefiori technique involves the production of glass canes or rods, known as murrine, with multicolored patterns which are viewable only from the cut ends of the cane. 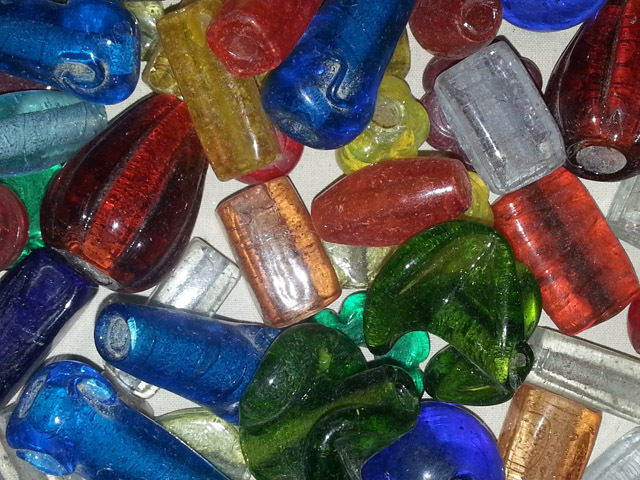 Millefiori beads are made of plain wound glass bead cores. Thin slices of cut cane (murrine) are pressed into the bead surface, forming mosaic-like patterns, while the glass is still hot. Millefiori beads can be decorated sparingly with a small number of murrine or they can be covered entirely, either by the same style of murrine, or by a combination of two or more styles, applied to form a flush, smooth surface, or left protruding from the bead. The Millefiori technique is a labor intensive process. Each Millefiori item is individually and painstakingly handmade. Millefiori is a specific type of Murrini. Murrine are small cross cut sections of glass, often featuring a pattern or design, used in the creation of a larger glass work. They are formed by bundling and fusing colored glass rods together, then pulling the hot glass to a very small diameter. These canes of glass are then cut into wafers, each piece bearing the original pattern in miniature; a technique that dates back thousands of years.